SONSHINE! Black boy joy. Better yet, black man peace. A heatwave in the dead of winter—Swoope’s Sonshine beams rays of hope. That sense that everything is gon’ be alright is what the choir boy turned rapper (who brings in a choir every now and then for backing) gives listeners as he alternates between lending vocals and rapping on his latest album. Classic beliefs with classic beats and careful cadences for today’s forecast are the core of the Akron-born now Atlanta-based rapper. Most hip-hop artists didn’t grow up listening to Rachmaninov. Then again, there’s nothing typical about Swoope. The Ohio-born and Atlanta-based rapper, songwriter, and producer tempers piano-driven soundscapes with deft bars that deliver an equally uplifting message that speaks for itself on his fourth full-length album, Sonshine [Native North Records]. Long before he won a GRAMMY for his work on LeCrae’s Gravity album, co-wrote the Billboard Top 10 Blessings feat. Ty Dolla Sign, reached 1 Million Youtube views on his song #SameTeam, debuted at #1 on Billboard’s Gospel Albums chart, #3 on the US Christian Albums chart, and #4 on the Rap Albums chart, Swoope found his calling in Akron, OH. By 18, he went from performing at his church to becoming an in-demand pianist performing across the world from The Cayman Islands to Sweden. Then, he discovered Kanye West’s The College Dropout. He connected to the entire vision from the production, content, and rapping to the soul samples and humor. With the encouragement of his pastor, he recorded his first independent album, The Zoo in 2007. It garnered a palpable regional buzz and shortly after, Swoope’s 2012 full-length debut, Wake Up, would solidify his spot and introduce the world to his inimitable style. “I want you to feel my music more than you hear it. A feeling, emotion, sentiment, or moment in life will last a whole lot longer than something that’s just pleasing sonically. 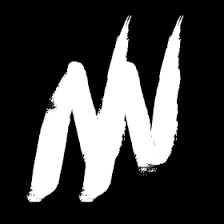 If you react, it will last.” When listening to Sonshine this is exactly how Swoope wants you to connect to the album. Swoope goes on. “I listen back to “Sonshine” and can say I hear myself. I finally hear Swoope. I found my voice, and I’m using it to talk about Jesus.” Sonshine embodies his soulful roots infused with inspiration while still incorporating today’s triplet hi-hat and 808 driven sound. 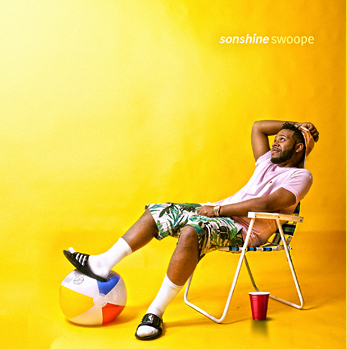 Swoope seamlessly incorporates his musical influences of past and present, making Sonshine a body of work that truly embodies who Swoope is.